It will be removed from store shelves, prevented from selling in pharmacy chains. The Supreme Court of Ukraine has upheld the legal lawsuit of the PrJSC Pharmaceutical firm Darnitsa (Kyiv) against Pharmaceutical Company Zdorovie LLC ( Kharkiv) and forbidden the Kharkiv-based company to produce the medical agent "Tzytramon-Zdorovie", said Aleksandr Mamunya, the partner of the AEQUO law firm, who represented Darnitsa's interests in court. "The court declared the state registration of the “Tsytramon-Zdorovie” invalid. This means it will be removed from store shelves, prevented from selling in pharmacy chains, its production and export will be impossible,” the lawyer explained. Although Darnitsa holds the right to the “Tsytramon” trademark, it doesn’t issue legal arguments with all the producers of this medical agent, Mamunya said. "There’s a whole range of “Tsytramons” on the market. 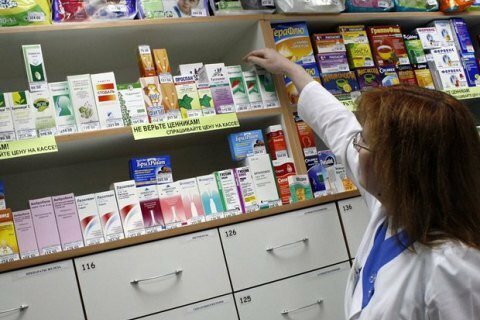 Some of them are harmless for Darnitsa business interests: they are being sold in certain regions, local pharmacies, the packaging is different from the medicine, produced by Darnitsa,” he said. “It was clearly an aggressive strategy aimed for using the counterpart's reputation as a steppingstone. Because Darnitsa has been investing in this product’s reputation for a long time – into the advertising, merchandising,” Mamunya said. "This case is unique - virtually the first precedent when the Health Ministry’s decision on medical agent registration was canceled on a base of trade and services mark. This is a signal to the foreign investors that in Ukraine the one can effectively protect intellectual property rights in court. Until today they didn’t believe such a method can work in Ukraine," Mamunya explained. PrJSC Pharmaceutical firm Darnitsa was founded in 1930. The company is a leading producer of pharmaceuticals by volume in Ukraine. Company’s portfolio includes more than 250 names of medical products. In 2018, Darnitsa increased its net profit by 31.3%, to 449.134m UAH. The Zagoriy family, including the Verkhovna Rada lawmaker Glib Zagoriy, is the ultimate beneficiary of the company. Pharmaceutical Company Zdorovie LLC was registered in 2001. According to the Justice Ministry data, Polish citizen Leonid Ogorodnikovis the ultimate beneficiary of the company.